What is the most fun you can have on a Tuesday night? I'll give you a hint. It involves moonshine (or wine) and painting. 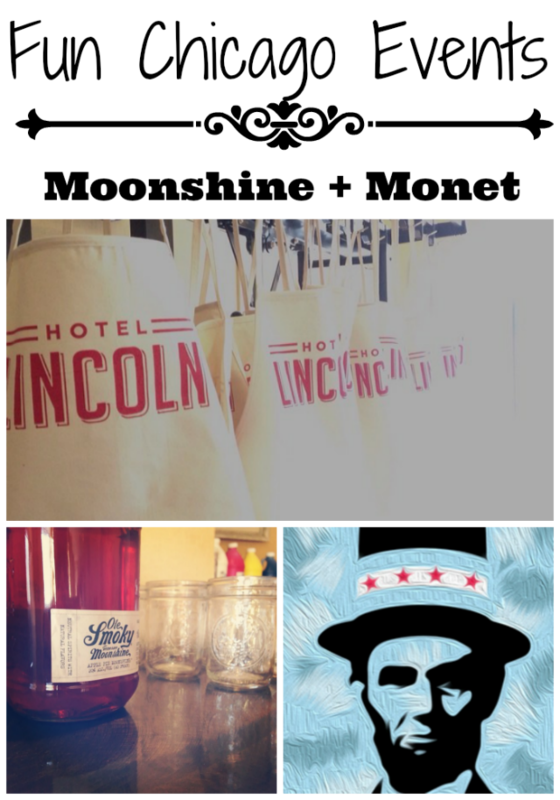 Chicago's vintage swank Hotel Lincoln kicked off its Moonshine + Monet event last night. It's the perfect adventure for those of us who like the nightlife but also need to be in bed by 11p. 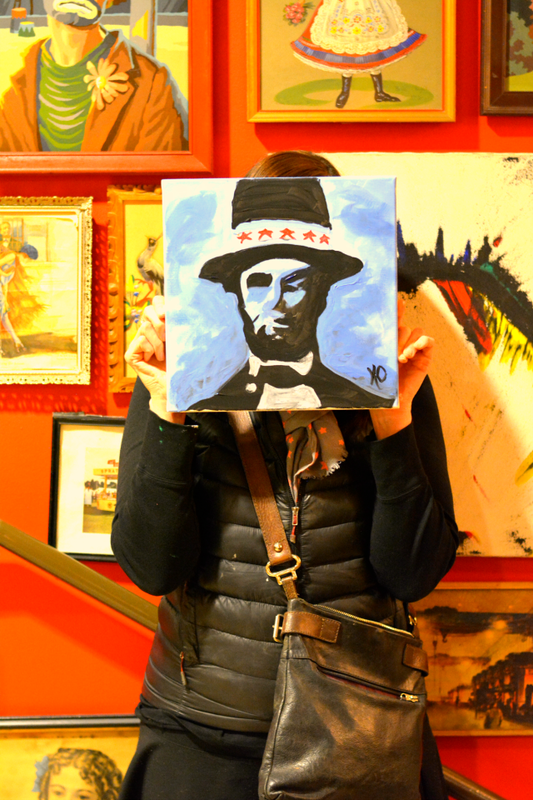 You by yourself or with your mate, friends, coworkers, or blogger buddies can show up at Hotel Lincoln with snacks and a bottle or mason jar (BYOB) of your favorite moonshine and paint a masterpiece with kind direction from a patient instructor. In between brushstrokes, you can chug sip wine until your piece de resistance is fully revealed. The more you sip the more fluid the brushstroke and the better looking your new art becomes. Could just be the wine goggles though. Either way, you'll love it! Classes are $30 per person and will typically be held twice a month with upcoming dates on: March 23, April 22, April 27, May 20 and May 25. Tuesday classes will be held from 6:30 – 8:30 pm and Sunday classes from 4 - 6 pm. To register for an upcoming Moonshine + Monet class, visit: Eventbrite, or follow Hotel Lincoln on Facebook to find the latest class information. Have a relaxing afternoon before the hustle and bustle of the work week or to celebrate making it through day 1 -- Monday. 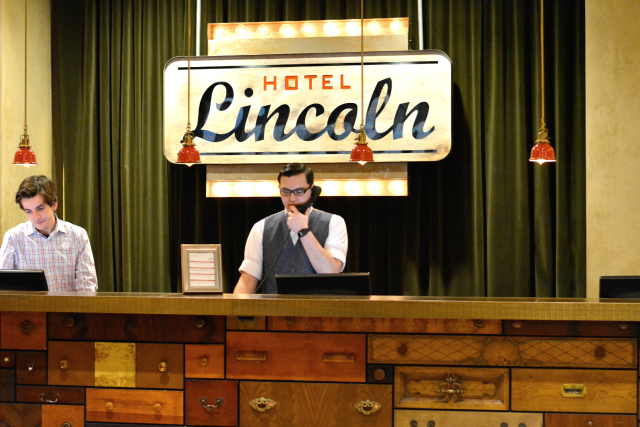 Hotel Lincoln has amazing ambiance especially if you're a lover of thrift and vintage. You have to spend time there and marvel at its coolness. I want to live there or at least borrow a few pieces of the decor. It's a very good way to meet new people and network. Sitting around a table with a paintbrush in one hand and a class of wine in the other somehow makes it easier to talk to people. Is it the wine or the shared feeling of inadequate artistic abilities? 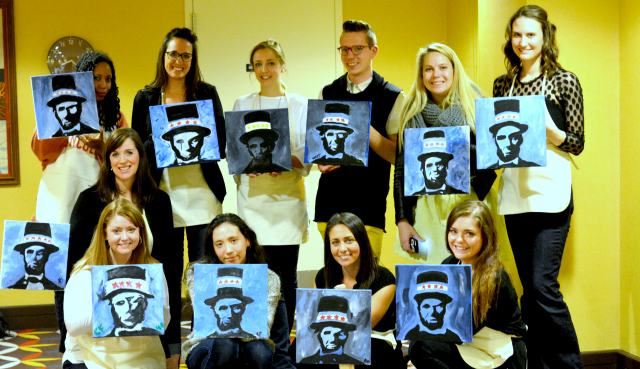 Moonshine + Monet would make a great girls night out, bridal shower, or team building event. It's relaxing yet high energy. No need to worry about things like skill. Whether you are blessed with artistic abilities or not, it's a good time. You'll leave with an original (insert name here) art piece to display! 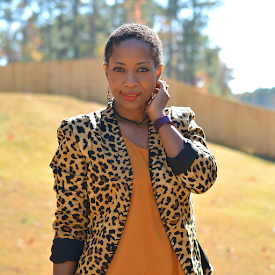 I was lucky enough to have won a media preview via Windy City Blogger Collective. I was super excited because I like winning I've always wanted to take a painting class...with wine. I was really into art in grammar and high school. I took classes even during the summer. I set it aside in college and never picked up paintbrushes again. This was a fun reintroduction to my creative side. 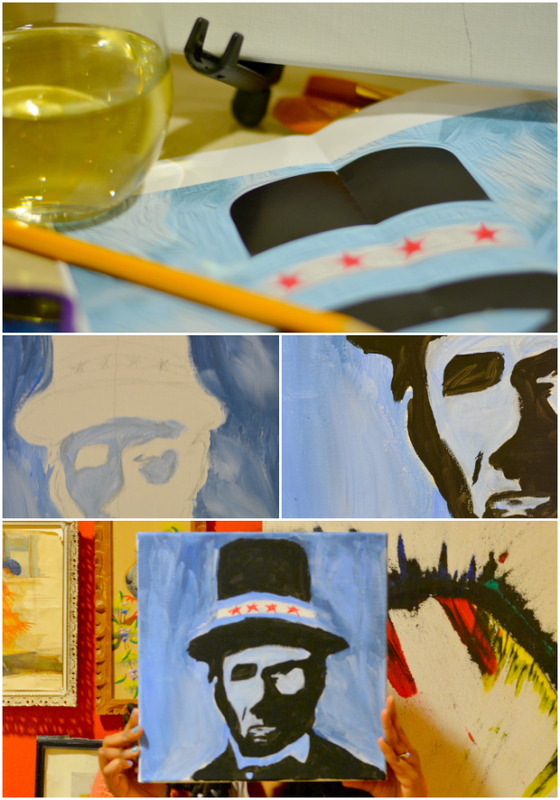 My Abe Lincoln looks more like a guy named Roy but that's ok. I was also able to nurture my deep affection for wine and cheese and chat with a trio of fabulous Chicago bloggers -- beauty blogger Caitlin, A Cheeky Fox, vegan blogger Kelly, Bucktown Girl, and style blogger Emily, Isn't That Charming. Have you taken a paint and sip class? How'd you like it? This looks fun! I wish I could attend more stuff around here but I work at night. I agree. If we could do something about this weather though!